LEXINGTON, Ky. (Friday, March 11, 2016) – The National Thoroughbred Racing Association (NTRA) announced today that Santa Anita Park in Arcadia, Calif., near Los Angeles, has earned reaccreditation from the NTRA Safety & Integrity Alliance. 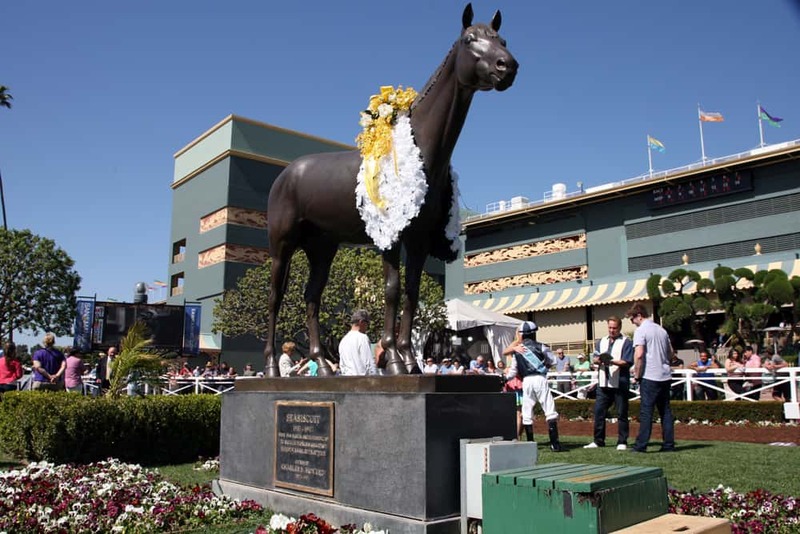 Since 1934, Santa Anita has been one of America’s leading racetracks, showcasing Hall of Fame legends like Seabiscuit, Affirmed, Spectacular Bid, John Henry and Zenyatta. In addition to signature fixtures like the Santa Anita Handicap and Santa Anita Derby, “The Great Race Place” has hosted eight Breeders’ Cup World Championships. The Breeders’ Cup returns for a record ninth time this year, Nov. 4-5. Saturday marks the 79th running of the Grade I, $1 million Santa Anita Handicap, also known as the Big ’Cap and long regarded as one of the world’s preeminent races for older horses on dirt. The reaccreditation of Santa Anita was the culmination of a lengthy process that began with the track’s completion of an extensive written application and continued as the track hosted several meetings with Alliance officials. An on-site review included inspections of all facets of the racing operations. Interviews were conducted with track executives, racetrack personnel, jockeys, owners, trainers, veterinarians, stewards and regulators. The inspection team was comprised of James Cain, security expert and former Chief of Enforcement for the Kentucky Horse Racing Commission; Jim Gates, racetrack operations consultant and former general manager of Churchill Downs; Dr. Ron Jensen, DVM, former equine medical director for the California Horse Racing Board; Mike Kilpack, security and integrity consultant and past chairman of the Organization of Racetrack Investigators; and Steve Koch, executive director of the NTRA Safety & Integrity Alliance. Santa Anita received its initial accreditation in 2009, the Alliance’s first year. All accreditations and reaccreditations carry an effective period of two years. Santa Anita is one of 23 racing facilities fully accredited by the Alliance that together host 94 percent of Grade I stakes and attract more than 70 percent of North American pari-mutuel handle. The others are Aqueduct Racetrack, Belmont Park, Canterbury Park, Churchill Downs, Del Mar Thoroughbred Club, Fair Grounds Race Course & Slots, Finger Lakes Gaming & Racetrack, Golden Gate Fields, Gulfstream Park, Gulfstream Park West, Indiana Grand, Keeneland, Kentucky Downs, Laurel Park, Los Alamitos Race Course, Monmouth Park, Pimlico Race Course, Saratoga Race Course, Suffolk Downs, Sunland Park, Turfway Park and Woodbine.